“Topology Matters”, from July 25th to 28th, 2017 at the campus of JGU Mainz. 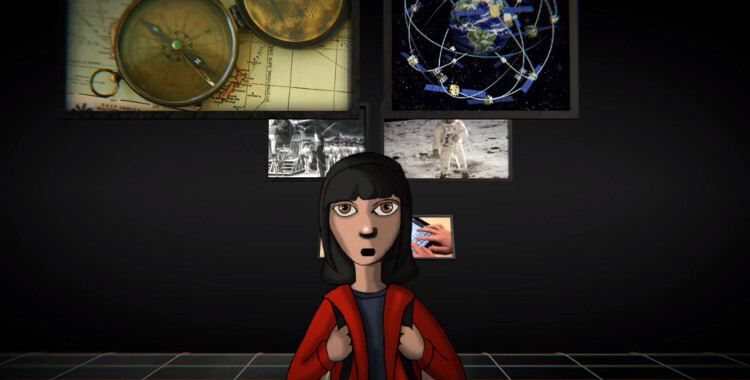 In recent years the concepts of topology have entered strikingly all areas of physics, interlinking many previously unrelated areas of research. New topological materials and topological phases with exotic properties have been discovered at a rapid pace. However, these new phases are still being studied primarily within their own sub-disciplines of condensed matter, with not enough interaction among them to explore new emerging paths to hybrid and multifunctional advanced materials. The workshop “Topology Matters” aims to bring together the top scientists in the fields of spintronics, superconductivity, topological insulators, and multiferroics in order to explore their connections via topology. The rapid developments in each of these fields, and the emerging importance of topology in all of them makes this workshop very timely. The mathematical concept of topology enters nowadays in many different physical realizations. In this conference we would like to explicitly cover the subfields of spintronics, superconductivity, topological insulators, and multiferroics where in the last decade tremendous progress has been made. Each of the sub-disciplines is interesting in its own and exploits the mathematical concept of topology. Recently some sporadic studies have shown the potential for merging the concepts developed in each sub-discipline by creating hybrid systems that contain tunable properties relevant to each sub-discipline. Merging their efforts can exploit synergies and create new paths towards these important multi-functional advance materials. Here, it is fascinating to study how the different topological properties of the corresponding materials enter, intermix and give rise to new physics (e.g. by merging topological properties in real space and momentum space). Therefore, at the workshop we do not plan to strictly separate the subfields but instead encourage to also present and discuss the interdisciplinary research aspects. If you would like to attend the workshop, please click on the button below and submit an abstract of your current work to apply. Application deadline is March 1st, 2017. If your application is accepted, you will be informed by March 15th, 2017. You will need to register for the workshop and pay the non-refundable workshop fee of 200 euros by April 3rd, 2017. The workshop fee includes lunches, a conference dinner and child care if needed. 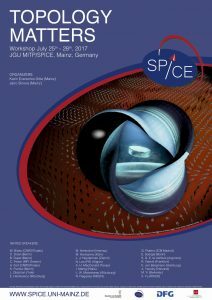 ← “Spin Dynamics in the Dirac Systems”, from June 6th to 9th, 2017, at Schloss Waldthausen, Mainz.